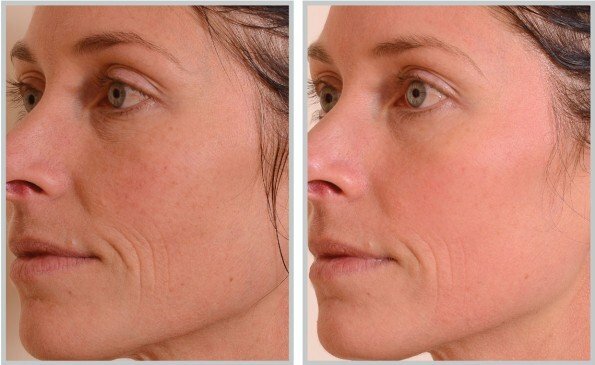 Decrease the signs of aging with Sciton’s BBL BroadBand Light treatment. This is safest treatment for laser skin resurfacing acne scars, varicose veins, skin tightening, microneedling, halo treatment etc. Botox is a neurotoxin derived from Clostridium botulinum, an organism found in the natural environment where it is largely inactive and non-toxic. Facial Botox is used to reduce fine lines and wrinkles by paralysing the underlying muscles. A facial is essentially a multi-step skin treatment that is one of the best ways to take care of your skin. A facial cleanses, exfoliates, and nourishes the skin, promoting a clear, well-hydrated complexion and can help your skin look younger. … A facial is the second most popular spa treatment after a massage. Here are some more well known of the best dermal fillers: Juvederm Facial Filler: Made of a hyaluronic acid gel, Juvederm is a naturally-occurring substance in the skin that contributes to volume and hydration. Juvederm is designed to temporarily correct moderate to severe facial wrinkles and folds. Since everyone’s skin is different, their needs are different. Halo allows the clinician to customize the treatment based on your lifestyle. If you need to be back to work, a light treatment may be better which will allow you to be back to work. Want a full transition WOW, then a more intense halo treatment will give your skin the younger glow with only a few days of downtime. Years ago, good results came with a huge price, given that almost every procedure required long down times, and the recovery was not pleasant. With Halo treatment you get the best of both worlds: great results with minimal downtime. 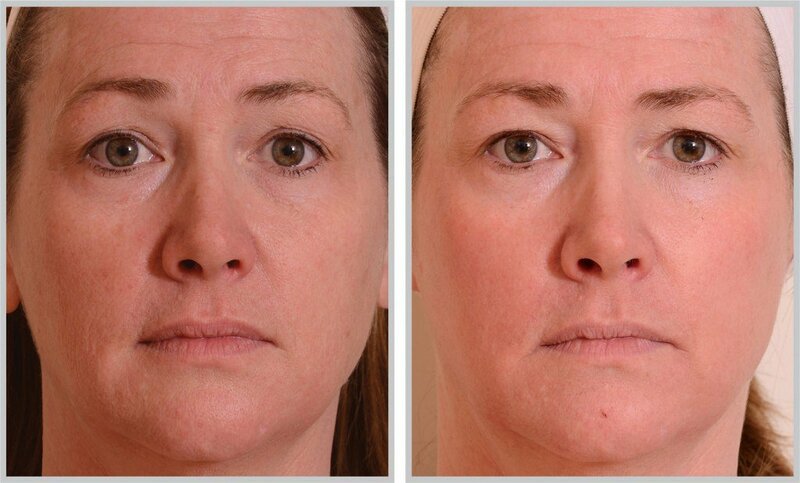 Halo merges deep dermal rejuvenation with epidermal renewal for a nice synergy you can’t obtain from other treatments. Halo creates beautiful results without a long downtime. HydraFacial is the only hydradermabrasion procedure that combines cleansing, exfoliation, extraction, hydration and antioxidant protection simultaneously, resulting in clearer, more beautiful skin with nodiscomfort or downtime. The treatment is soothing, moisturizing, non-invasive and non-irritating. We provide Laser Treatments designed to treat superficial brown blemishes and laser is also effective in removing other brown marks like café au lait patches, Nevus of Ito, Nevus of Ota, freckles and flat pigmented moles. Melanin is what gives our skin its color. Pigmented lesions are dark in color simply because melanin is abnormally concentrated in one area of the skin. High concentrations of melanin can be due to various factors. Some types are present at birth, but most occur with age or as a result of overexposure to the sun’s damaging rays. Several options are available to remove spider veins — thin red lines or weblike networks of blood vessels that appear on your legs and feet. Halo is an excellent choice for acne scarring and in combination with SkinPen or other micro-needling devices can drastically reduce the appearance of acne scarring by building up the collagen beneath the scars. The best results will be seen in superficial to medium depth acne scars. Deep acne scars will still show some improvement but may need further laser therapy, dermabrasion or excision for the best results. For the limited downtime associated with Halo it is a great treatment. 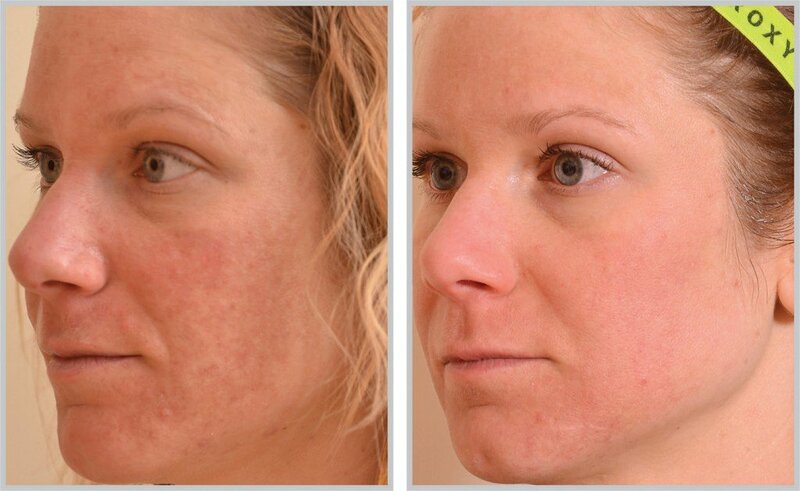 Rosacea starts as redness on the cheeks, nose, chin, or forehead (and less often on the neck, scalp, chest, or ears). At first, rosacea comes and goes. After a while, theredness deepens and lasts longer. Visible blood vessels appear in the skin.